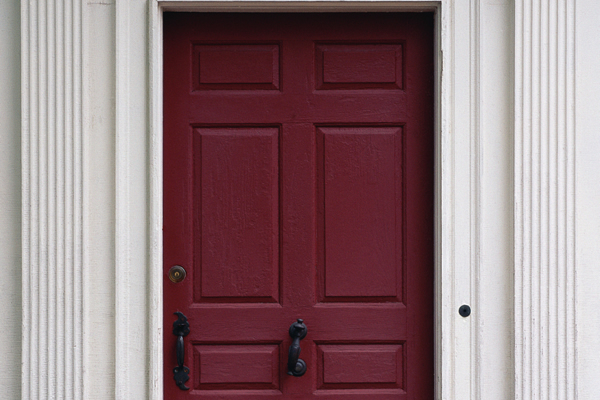 Your visitor arrives, rings the doorbell, and waits, wondering what the opened door will reveal. 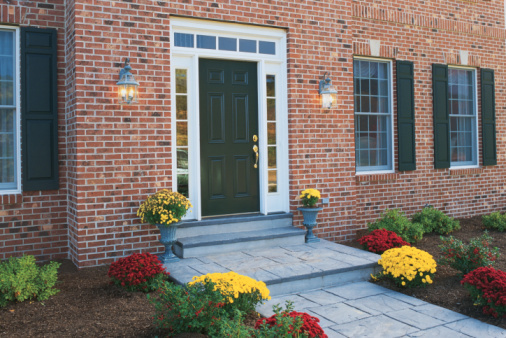 Front doors may be the portal to a sophisticated urban Chicago condo or laid-back Bozeman ranch house. They must also be practical. They may need to survive burglars, intense heat, flying debris, humidity, and simply time. 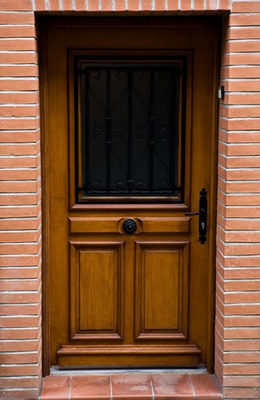 These concerns will dictate whether you need the strength of fiberglass or steel, the budget-wise benefits of an insulated fiberboard or wood door, or the originality of a custom-made design. 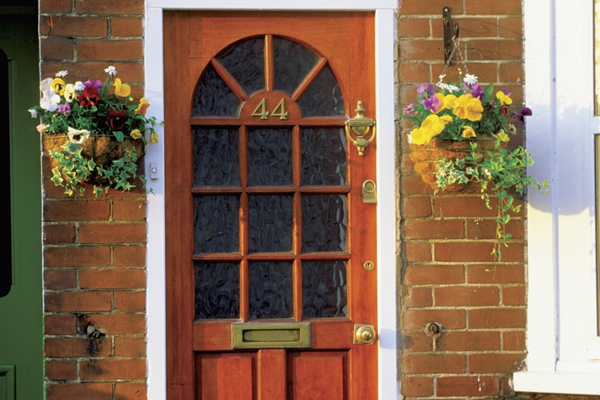 There are more choices: Window or windowless; the shape and size of a window or windows; real or simulated wood; panelled, slab, plank, artistic or pieced appearance; rectangular or arched top; single or double doors; side windows or not; handles, hinges and locks; supply and installation. Take your time researching. 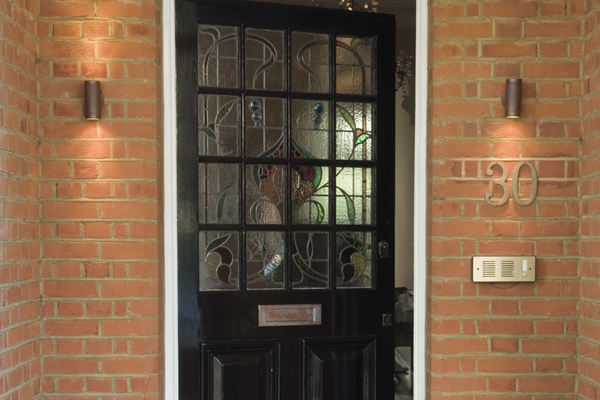 The front door reflects you, and you'll appreciate your choice every time you enter your home. 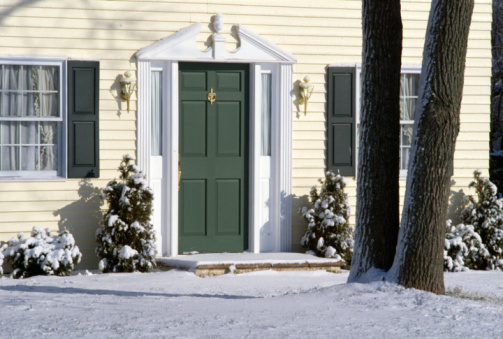 Exterior doors not only greet guests, they also keep your family safe. 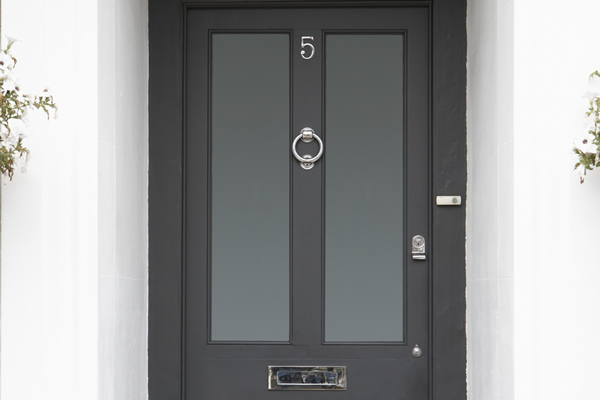 This image shows an example of how you can combine functionality and customized style in your choice of doors. 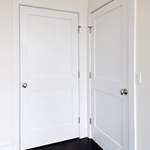 Interior doors are like a painter's canvas and palette, offering unlimited choices of color, material and design. 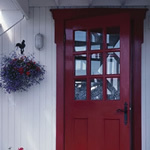 Here is one example of how your home's interior doors can express your style and your personality.